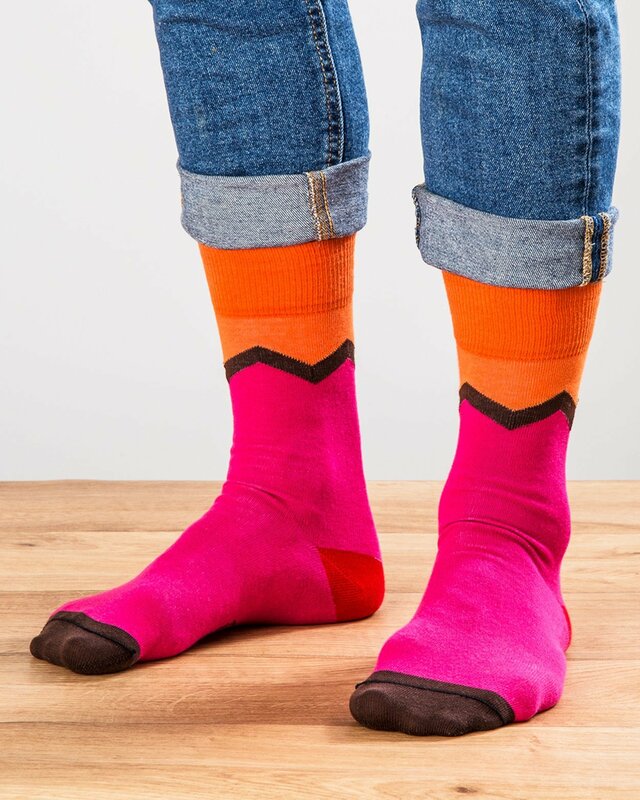 In a striking palette of pink, orange and brown, our Charlie Brown socks make a bold addition to your sock collection. Made from a breathable, soft cotton blend, they promise to keep feet comfy all day long, while looking dashing peeking out between trousers and brogues. Finished with a contrasting flash of red to the heel, this pair are make for ultimate sock style.